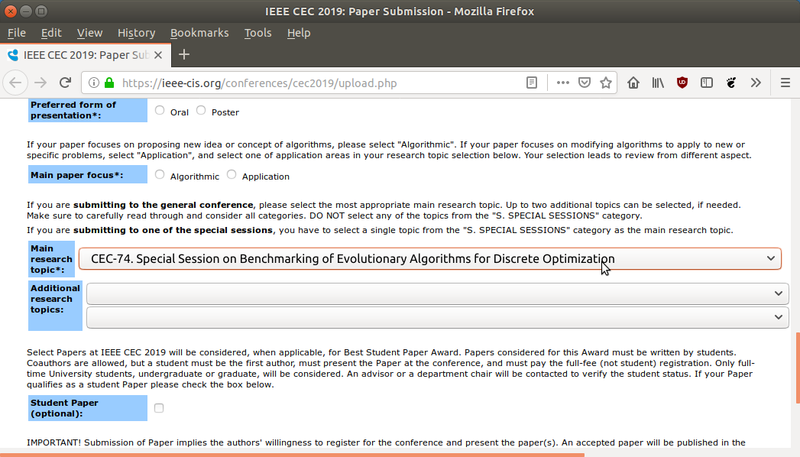 The Special Session on Benchmarking of Evolutionary Algorithms for Discrete Optimization (BEADO), a part of the 2019 IEEE Congress on Evolutionary Computation (CEC'19), is cordially inviting the submission of original and unpublished research papers. Evolutionary Computation (EC) is a huge and expanding field, attracting more and more interests from both academia and industry. It includes a wide and ever-growing variety of optimization algorithms, which, in turn, are applied to an even wider and faster growing range of different problem domains, including discrete optimization. For the discrete domain and application scenarios, we want to pick the best algorithms. Actually, we want to do more, we want to improve upon the best algorithm. This requires a deep understanding of the problem at hand, the performance of the algorithms we have for that problem, the features that make instances of the problem hard for these algorithms, and the parameter settings for which the algorithms perform the best. Such knowledge can only be obtained empirically, by collecting data from experiments, by analyzing this data statistically, and by mining new information from it. Benchmarking is the engine driving research in the fields of EAs for decades, while its potential has not been fully explored. Here you can download the BEADO Special Session Call for Papers (CfP) in PDF format and here as plain text file. The goal of this special session is to solicit original works on the research in benchmarking: Works which contribute to the domain of benchmarking of discrete algorithms from the field of Evolutionary Computation, by adding new theoretical or practical knowledge. Papers which only apply benchmarking are not in the scope of the special session. More information regarding the submission process can be found at the conference website http://cec2019.org/papers.html#templates. Papers can be submitted via http://ieee-cis.org/conferences/cec2019/upload.php. When submitting your paper, make sure to select our special session as main research topic! Please note that the Latex template does not allow for keywords. If you are using the Latex template, do not include keywords in your paper. Paper Length: Up to 8 pages, including figures, tables and references. At least one author from each accepted paper must register at the conference, pay the conference fee, and be present at the conference to give an oral presentation. Each oral presentation will have a total of 20 minutes (1 minute preparation time + 15 minutes presentation + 4 minutes Q&A). Each session room will provide an overhead projector and screen for the presenters to use. However, authors must bring their own laptop or to borrow one from another author presenting in the same session. Authors should check that their slides work properly with the audio visual system in the room before the start of the session. For additional information and the newest updates, please check the official CEC'19 Timeline. Dr. Aleš Zamuda is an Assistant Professor and Researcher at University of Maribor (UM), Slovenia. He received Ph.D. (2012), M.Sc. (2008), and B.Sc. (2006) degrees in computer science from UM. He is management committee (MC) member for Slovenia at European Cooperation in Science (COST), actions CA15140 (ImAppNIO - Improving Applicability of Nature-Inspired Optimisation by Joining Theory and Practice) and IC1406 (cHiPSet - High-Performance Modelling and Simulation for Big Data Applications). 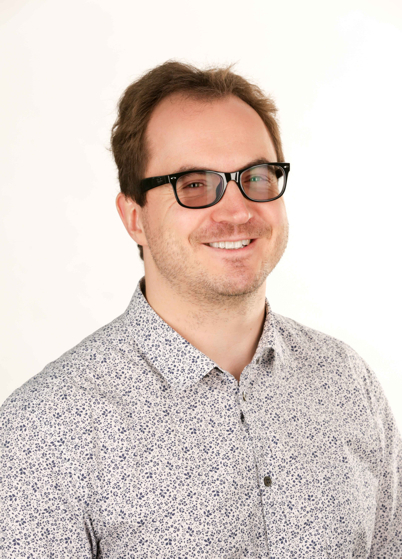 He is IEEE Senior Member, IEEE Slovenia Section Vice Chairman and Young Professionals Chairman, IEEE CIS member, ACM SIGEVO member, ImAppNIO Benchmarks working group vice-chair, and editorial board member (associate editor) for Swarm and Evolutionary Computation (2017 IF=3.818). His areas of computer science applications include ecosystems, evolutionary algorithms, multicriterion optimization, artificial life, and computer animation; currently yielding h-index 18, 41 publications, and 883 citations on Scopus. He won IEEE R8 SPC 2007 award, IEEE CEC 2009 ECiDUE, 2016 Danubuius Young Scientist Award, and 1% top reviewer at 2017 and 2018 Publons Peer Review Awards, including reviews for over 40 journals and 85 conferences.